Gagnon, A.-G. (Alain-G.), & Iacovino, R. (2016). Interculturalism and multiculturalism: Similarities and differences. 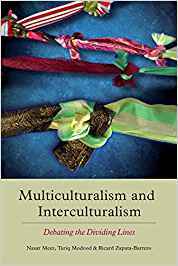 In Multiculturalism and Interculturalism: Debating the Dividing Lines (pp. 104–132).